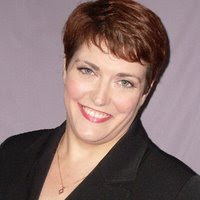 Kaye Dacus has a Bachelor of Arts in English, with a minor in history, and a Master of Arts in Writing Popular Fiction. Her love of the Regency era started with Jane Austen. Her passion for literature and for history come together to shape her creative, well-researched, and engaging writing. William Ransome pulled the collar of his oilskin higher, trying to stop the rain from dribbling down the back of his neck. He checked the address once more and then tucked the slip of paper safely into his pocket. He took the four steps up to the front door of the townhouse in two strides and knocked. The rain intensified, the afternoon sky growing prematurely dark. After a minute or two, William raised his hand to knock again, but the door swung open to reveal a warm light. “Thank you.” William stepped into the black-and-white tiled entry, water forming a puddle under him as it ran from his outer garments. “May I tell Mrs. Yates who is calling?” The butler reached for William’s soaked hat and coat. William turned his attention to his uniform—checking it for lint, straightening the jacket with a swift tug at the waist—and followed the butler up the stairs. Fawkes knocked on the double doors leading to a room at the back of the house. A soft, muffled voice invited entry. The butler motioned toward the door. It took a moment for William to understand the man was not going to announce him, but rather allow him to surprise Susan. He turned the knob and slowly pushed the door open. “My crew and I are on leave for three weeks.” And it could not have come at a better time. After two years away from home, his crew needed some time apart from each other. “Think nothing of it. But you were telling me of your assignment. Your crew is not to be decommissioned?” Susan asked. “Julia—not Julia Witherington?” William set his cup down on the reading table beside him. He’d heard she had returned to Portsmouth following her mother’s death, but he’d hoped to avoid her. “Yes. She returned to England about eight months ago and has become the darling of Portsmouth society, even if they do whisper about her being a ‘right old maid’ behind her back. Although recently, Julia’s presence always means Lady Pembroke—her aunt—is also in attendance.” The tone of Susan’s voice and wrinkling of her small nose left no doubt as to her feelings toward the aunt. “So you have renewed your acquaintance with Miss Witherington, then?” The thought of Miss Julia Witherington captured William’s curiosity. He had not seen her since the Peace of Amiens twelve years ago…and the memory of his behavior toward her flooded him with guilt. His own flattered pride was to blame for leading her, and the rest of Portsmouth, to believe he would propose marriage. And for leading him to go so far as to speak to Sir Edward of the possibility. A high-pitched voice reciting ships’ ratings rang in William’s memory, and he couldn’t suppress a slight smile. Julia Witherington had known more about the navy at age ten than most lifelong sailors. “My apologies, Susan.” He snapped out of his reverie and returned to his seat. “Did Collin ever tell you how competitive we were? Always trying to out-do the other in our studies or in our duty assignments.” He recalled a few incidents for his best friend’s wife, much safer mooring than thinking about the young beauty with the cascade of coppery hair he hadn’t been able to forget since the first time he met her, almost twenty years ago. Julia Witherington lifted her head and rubbed the back of her neck. The columns of numbers in the ledgers weren’t adding properly, which made no sense. An unmistakable sound clattered below; Julia crossed to the windows. A figure in a dark cloak and high-domed hat edged in gold stepped out of the carriage at the gate and into the rain-drenched front garden. Her mood brightened; she smoothed her gray muslin gown and stretched away the stiffness of inactivity. She did not hear any movement across the hall. Slipping into her father’s dressing room, she found the valet asleep on the stool beside the wardrobe. She rapped on the mahogany paneled door of the tall cabinet. He rushed to see to his duty, just as Julia had seen sailors do at the least word from her father. Admiral Sir Edward Witherington’s position demanded obedience, but his character earned his men’s respect. The valet grabbed his master’s housecoat and dry shoes. He tripped twice in his haste before tossing the hem of the dressing gown over his shoulder. She smothered a smile and followed him down the marble staircase at a more sedate pace. The young man had yet to learn her father’s gentle nature. Admiral Sir Edward Witherington submitted himself to his valet’s ministrations, a scowl etching his still-handsome face, broken only by the wink he gave Julia. She returned the gesture with a smile, though with some effort to stifle the yawn that wanted to escape. “Aye, sir,” the former sailor answered, a furrow between his dark brows. That her father had invited one of his friends from the port Admiralty came as no surprise. Julia started toward the study, ready for the best time of the day—when she had her father to herself. “Is that in addition to the extra place Lady Pembroke asked to have set?” Creighton asked. Julia stopped and turned. “My aunt asked…?” She bit off the rest of the question. The butler did not need to be drawn into the discord between Julia and her aunt. Once in her father’s study, Julia settled into her favorite winged armchair. A cheery fire danced on the hearth, fighting off the rainy day’s chill. Flickering light trickled across the volumes lining the walls, books primarily about history and naval warfare. She alone knew where he hid the novels. He dropped a packet of correspondence on his desk, drawing her attention. She wondered if she should share her concern over the seeming inaccuracy of the plantation’s ledgers with her father. But a relaxed haziness started to settle over her mind, and the stiffness of hours spent hunched over the plantation’s books began to ease. Perhaps the new steward’s accounting methods were different from her own. No need to raise an alarm until she looked at them again with a clearer mind. She loved this time alone with her father in the evenings, hearing of his duties, of the officers, politicians, and government officials he dealt with on a daily basis while deciding which ships to decommission and which to keep in service. “I do not mean to sound ungrateful. I appreciate the fact that Aunt Augusta has offered her services to me, that she wants to…help me secure my status in Portsmouth society.” Julia stared at her twined fingers in her lap. “It seems to have worked. Every day when I come home, there are more calling cards and invitations on the receiving table than I can count.” Going around behind his desk, he opened one of the cabinets and withdrew a small, ironbound chest. With an ornate brass key, he unlocked it, placed his coin purse inside, secured it again, and put it away. “Yes. I have met so many people since she came to stay three months ago. And I am grateful to her for that. But she is so…” Julia struggled for words that would not cast aspersions. Julia nodded. To say anything more would be to sound plaintive, and she did not want to spoil whatever time her father could spare for her with complaints about his sister-in-law, who had been kind enough to come stay. Sir Edward sat at his desk, slipped on a pair of spectacles, and fingered through the stack of correspondence from the day’s post. He grunted and tossed the letters back on the desk. Julia bit back sharp words. William Ransome—the man she’d sworn she’d never forgive. The man whose name she’d grown to despise from its frequent mention in her father’s letters. He had always reported on William Ransome’s triumphs and promotions, even after William disappointed all Julia’s hopes twelve years ago. He wrote of William as if William had been born to him, seeming to forget his own son, lost at sea. “And where are you sending him, now that we’re at peace with France?” Please, Lord, let it be some distant port. Julia’s heart surged and then dropped. “Jamaica?” Home. She was ready to go back, to sink her bare toes into the hot sand on the beach, to see all her friends. Five weeks was no time at all. Julia relaxed a bit—but she started at the thump of a knock on the front door below. This is the first novel I've read by Kaye Dacus and I'm thrilled to have gotten the chance. I have been a long time fan of M.L. Tyndall and Ransome's Honor falls into the same category as her books. In this first installment of The Ransome Trilogy, we don't make it out to sea, although we do hear tales about it. Even without that element, you get the feel of the times and where they are talking about. I hope in the next couple of books we'll make it to Julia's plantation and make aboard William Ransome's ship! We start off with Julia Witherington as a 17 yr old girl going to a dance expecting to come away betrothed to William Ransome. Unfortunately, things don't go as planned and no engagement is announced. Fast forward to Julia almost 30 yrs old. William Ransome has come back to town and her vow to hate him forever doesn't seem like it's going to work for Julia. Julia's aunt, Lady Pembroke has plans of her own that involve her gambling son, Drake. I really enjoyed getting to know Julia. Her love for her family's plantation, and the sea, are very endearing. She has strong opinions and a strong devotion to her father. She understands that those around her view her as a spinster. William is a strong presence in this story. I love his character. He puts honor above all, which is to be expected. His pride kept him from proposing to Julia when they were younger. Will he miss his chance the 2nd time around? There's one part of this story that I loved and that's when a certain plot is revealed to Julia. I enjoy when authors don't treat a story like a soap opera. You know, things are happening around the characters and somehow they're always simply unaware. I liked that it wasn't the case in Ransome's Honor. I am looking forward to Kaye's 2nd book in this trilogy!! Why Didn't I Leave "The Ugly Truth"? Birthday Giveaway coming up this week!